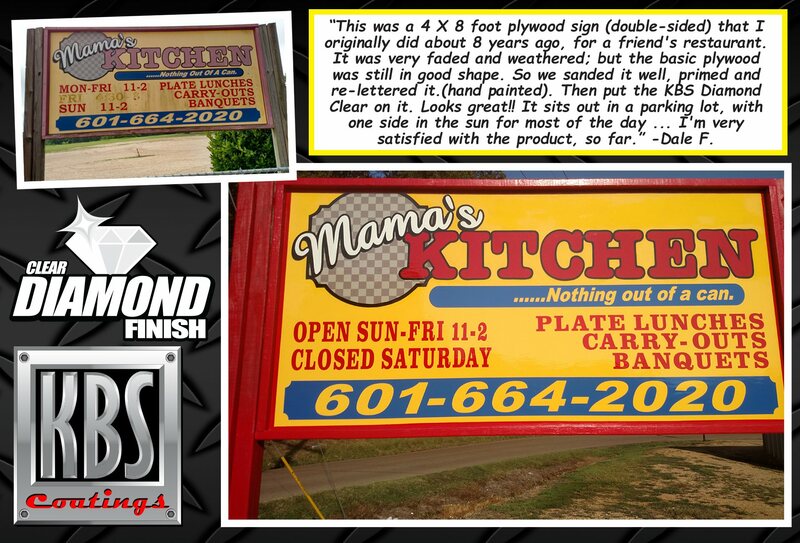 “This was a 4 X 8 foot plywood sign (double-sided) that I originally did about 8 years ago, for a friend's restaurant. It was very faded and weathered; but the basic plywood was still in good shape. So we sanded it well, primed and re-lettered it. (hand painted). Then put the KBS Diamond Clear on it. Looks great!! It sits out in a parking lot, with one side in the sun for most of the day ... I'm very satisfied with the product, so far.” -Dale F.